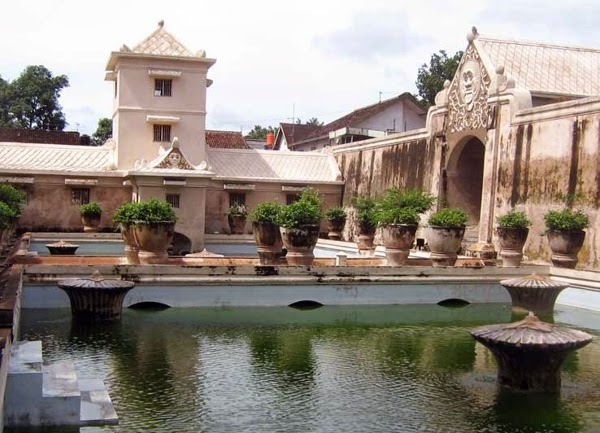 Tamansari Water Castle is a site of a former royal garden of the Sultanate of Yogyakarta. 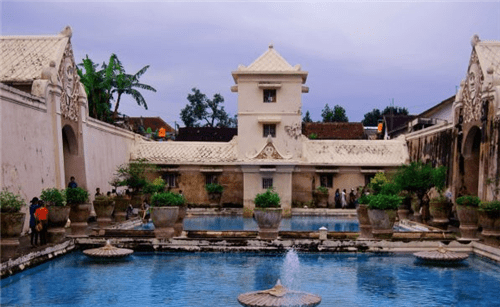 It is located about 2 km south within the grounds of the Kraton, Yogyakarta, Indonesia. 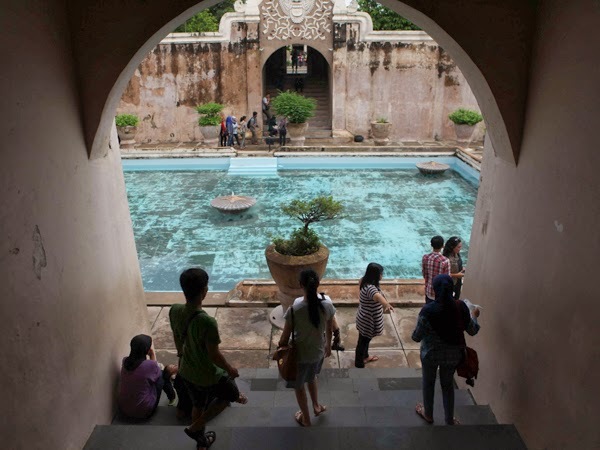 Built in mid 18th century, the Taman Sari had multiple functions, such as a resting area, a workshop, a meditation area, a defense area, and a hiding place. The name of Tamansari comes from the Javanese words taman, meaning a “garden” or “park” and sari, which means “beautiful” or “flowers”. Hence, the name Tamansari means an area of a beautiful garden adorned with flowers. An old article described it as a “water castle” (Dutch: waterkasteel); as by shutting the water gates, the complex would be completely immersed in water, leaving tall structures standing out.